Drinking in the afternoon is one of life’s greatest pleasures, so when we spied a ‘brunch and all you can drink prosecco’ voucher (£15.95) for The Wig and Pen, we wasted no time printing it out before the owners came to their senses and took the offer down. Needless to say, we were excited about this one, especially since we’d had such a fantastic meal at affiliated eatery The Milestone the previous week. From the outside, The Wig and Pen looks nothing special: it’s a stumpy huddle of buildings in the heart of Estate Agent District (aka Campo Lane.) Inside, it’s far nicer than expected: the interior is all light wood, big windows and ‘swanky wine bar’ atmosphere. A friendly waitress escorted our party to a table, where we promptly pulled out our voucher and she sped off to fetch the first (of many) rounds of bubbly. Fully expecting to be brought a bottle, we were disappointed when she returned with a tray of glasses. We couldn’t help grumbling, convinced that we’d struggle to attract the staff’s attention when it was time for glass number two (and three, and four) and the ‘all you can drink’ boast was just a conspiracy. If something is too good to be true, then it probably is. It turns out we were just being cynical – despite our waitress also ferrying plates of bulging Sunday lunch to a large party directly behind us, she always found the time to top our glasses up. Far from making us feel self-conscious about burning through the bottles, she was very friendly, and jokingly gave us a running total of how much we’d drank. 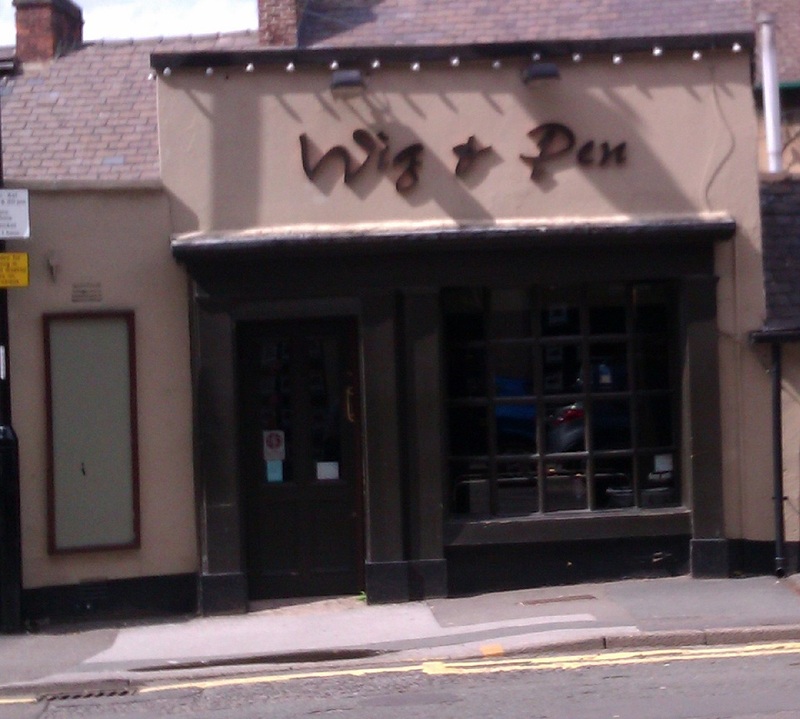 The Wig and Pen’s staff really are second to none – polite, attentive and friendly. Even better, the prosecco they’ve earmarked for this offer is perfect for afternoon drinking, morish without being too sweet. 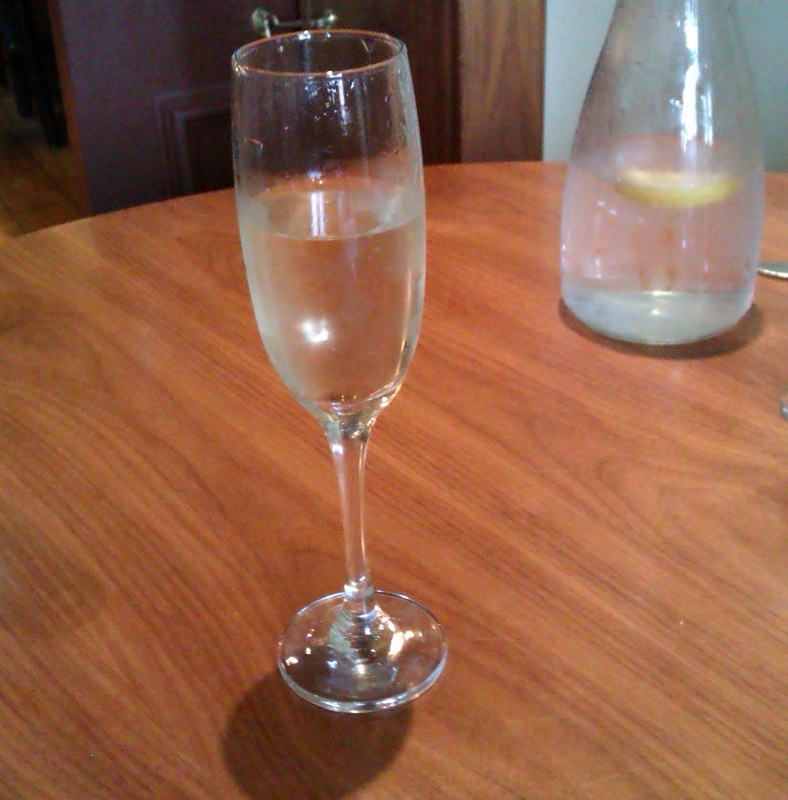 Eventually we got around to ordering some brunch dishes to mop up all that fizz. The menu is in the same vein as The Milestone’s, so if you’re partial to the grub at one of the venues, then you’re guaranteed to like the other. Picky eaters beware, The Wig and Pen’s menu is far from extensive, but each dish has been concocted with a keen eye for detail, with a heavy focus on unusual combos. That said, the brunch menu is particularly restrictive. There’s a posh cooked breakfast but beyond that, if you don’t like poached eggs and hollandaise sauce then you’re going to go hungry. Poached egg fans can choose from double eggs benedict, double eggs royal or double eggs florentine, all priced at a reasonable £5.95. Thankfully, we’re all fans of the humble egg at Sheffield Eats, so we had no issues with the narrow menu. 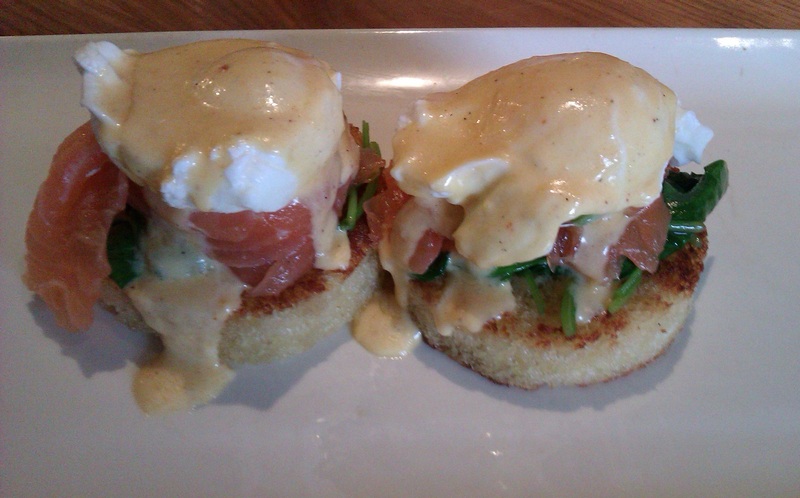 I plumped for Double Eggs Royal, which consisted of two stodgy English muffins layered with wilted spinach and slabs of the strongest, saltiest and most mouth-watering smoked salmon I’ve had the pleasure of crossing paths with. Topped off with two perfectly-cooked eggs and lashings of creamy hollandaise sauce, the portion size may have looked mean, but I’d learned my lesson about the richness of The Milestone/The Wig and Pen’s food, and took it slowly this time. The eggs were perfectly cooked, with a little runny yolk still in the centre; the spinach was wilted but not falling apart, and the smoked salmon was so thick, it was more like a fillet. The Wig and Pen’s Double Eggs Royal is one of the richest meals I’ve ever eaten and, combined with the sheer strength of the smoked salmon, it was impossible for me to finish. I’d recommend treating this brunch dish as your lunch – it would take a stronger stomach than mine to polish off this plate of loud flavours and calorific sauce before noon. 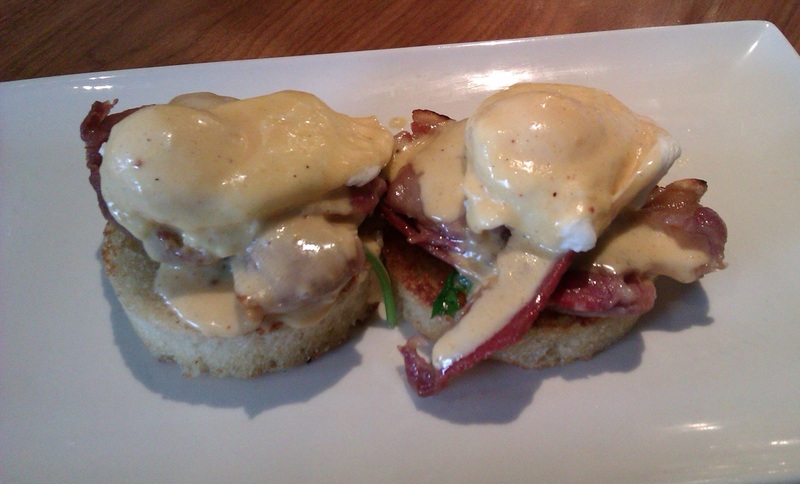 Also arriving at the table, were a couple of portions of Double Eggs Benedict, which basically replaced the wedge of smoked salmon with a chunk of bacon. The bacon had more in common with gammon than the usual fatty supermarket stuff, and everyone at the table agreed The Wig and Pen’s bacon is in a league of its own. The food may have been impossible to fault, but we did have an issue with the live acoustic jazz performer who is apparently a regular fixture on Sundays. For the first fifteen minutes or so, the speakers were turned up far too high. With the large party behind us all shouting to make themselves heard above the blaring music, it wasn’t the quiet, relaxed brunch we’d envisioned. Thankfully, The Wig and Pen twigged there was something wrong and had turned the volume down by the time the performer returned for his second set, and we could hear ourselves think again. Full enough to pop and well into our third bottle of prosecco thanks to the attentive waitress, we raised our glasses to one of the best (certainly, the most tipsy!) brunches we’d had in Sheffield. The food, service and venue itself are flawless and, after they’d toned down the music, we could properly relax and enjoy our boozy brunch. Obviously cut from the same cloth as The Milestone, The Wig and Pen has all the same great qualities, and with a more convenient, city centre location to boot.